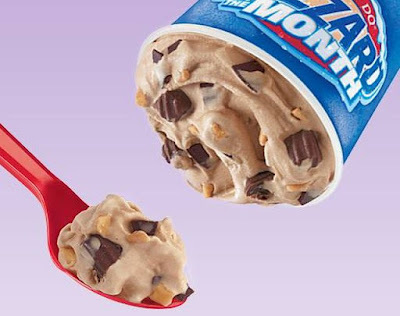 Salted Caramel Truffle is the Blizzard of the Month for January 2017 at Dairy Queen. The flavor features salty caramel truffles, toffee, cocoa fudge, and choco chunks blended with DQ's signature vanilla soft serve. In addition to getting it in a cup, you can also get Salted Caramel Truffle as part of a Blizzard Cake.